St. Patrick’s Day might bring up images of dancing leprechauns, pots of gold, and green beer, but do you know the real story behind St. Patrick’s Day? The first St. Patrick’s day took place March 17, 1631, established by the Church as a day to honor St. Patrick, the Patron Saint of Ireland. St. Patrick wasn’t actually born in Ireland, though. Taken to Ireland as a slave when he was a boy, St. Patrick eventually escaped. Returning to the country as a priest years later, he helped the Irish convert to Christianity. Although he died March 17, 461, and was declared a saint, the first St. Patrick’s Day wasn’t held until centuries later. Despite the religious and cultural significance of the holiday, St. Patrick’s Day is a festive and merry celebration, usually celebrated with drinks and dancing. If you’re looking for places to celebrate St. Patrick’s Day in Charlottesville, here are a few places to check out. What better place to get beer on St. Patrick’s day than one of the area’s top breweries? On Sunday, March 17th, Blue Mountain Brewery is hosting their very own St. Patrick’s Day celebration. With Irish menu specials all weekend, eat and drink like the Irish! Live Irish music will be playing from 2:00 p.m. to 5:00 p.m. courtesy of musicians Jim Morrison and Joe Fallon. If the weather is warm, they have an expansive selection of outdoor seating and a nearly unbeatable mountain view. Although Blue Mountain Brewery is a little outside of Charlottesville, it’s a great spot to celebrate St. Patrick’s Day with friends. If you already have St. Patrick’s Day plans on Sunday, Blue Toad Cidery is having their 7th Annual St. Paddy’s Day Bash on Saturday, March 16, from 12:00 p.m. to 5:00 p.m. Located at their event hall on a 27-acre farm, Blue Toad knows how to throw a St. Patty’s Day celebration. Unlike many St. Patrick’s Day celebrations in the Charlottesville area, you’ll have to buy a ticket to attend this party. A $30 ticket will not only give you access to the event, but you’ll get free tastings from Blue Toad Hard Cider, Blue Mountain Brewery, and other guest taps, a free souvenir glass to use for the tastings, a free can of Paddy Green, Blue Toad’s award-winning Irish cider, a free caricature artist, and more! King Golden Banshee will be providing live Celtic music for the entertainment and there will be Irish-inspired food on the menu. 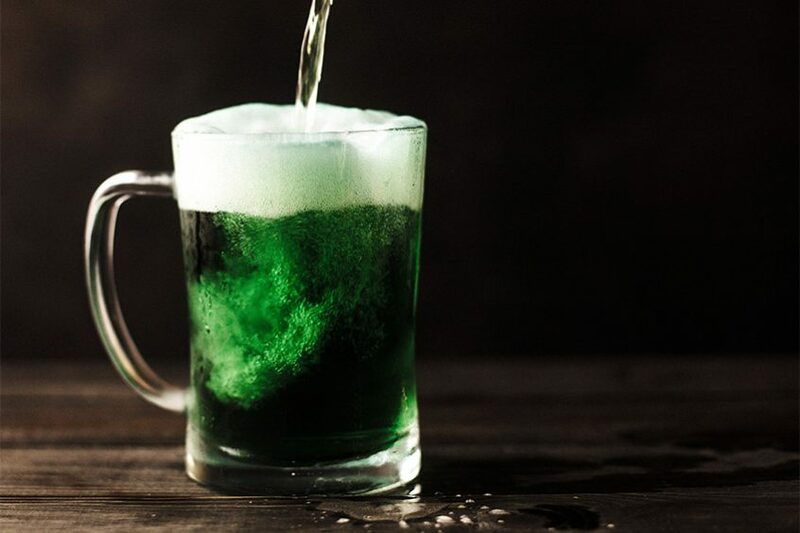 Whether you prefer to celebrate St. Patrick’s Day in Charlottesville with a night of drinking green beer and Irish dancing, or prefer to celebrate the rich culture of Ireland through listening to live music, there are plenty of events happening in and around the city. With different events happening on both Saturday and Sunday, you may even be able to attend multiple St. Patrick’s Day celebrations to make the holiday last all weekend long. Arden Place is a luxury apartment community located in Charlottesville, Virginia. Neither urban, nor rural, Arden Place offers the perfect atmosphere for its residents to work and play. Schedule a tour and see why we recently received the 2018 SatisFacts Resident Satisfaction Award.